At the beginning of the month you may remember that I set myself some crafting targets for January - something to structure my crafting and to really see if this was something I would like to do month by month in the hopes of improving my blog and perhaps some sales on Etsy as well. I set myself 3 goals for this month, and I've had a mixed bag of results. Of all the tasks I set myself, this was probably the most straightforward. I have made this hat at least half a dozen times over the last 2 and a half years so it was just a case of perfecting the hat and writing/sharing a pattern for it. After making countless chunky knit hats now I understand better the sorts of decreases you need for the crown of the hat and also just how very important gauge is when writing a pattern! 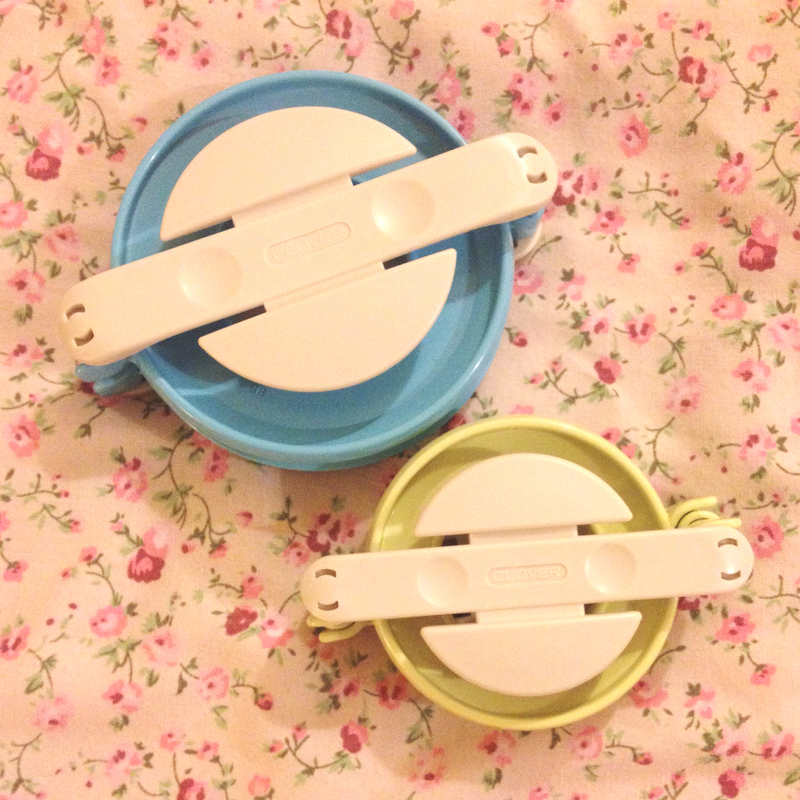 I really enjoyed finalising this pattern and writing it and I am so happy at just how popular it has proved to be! You can find the free knitting pattern for this hat on my blog, and I've also uploaded it to Ravelry so you can store it in your library for the future! And if you were hoping to buy the spare hat that I made when writing this pattern it actually just sold today on Etsy - sorry! 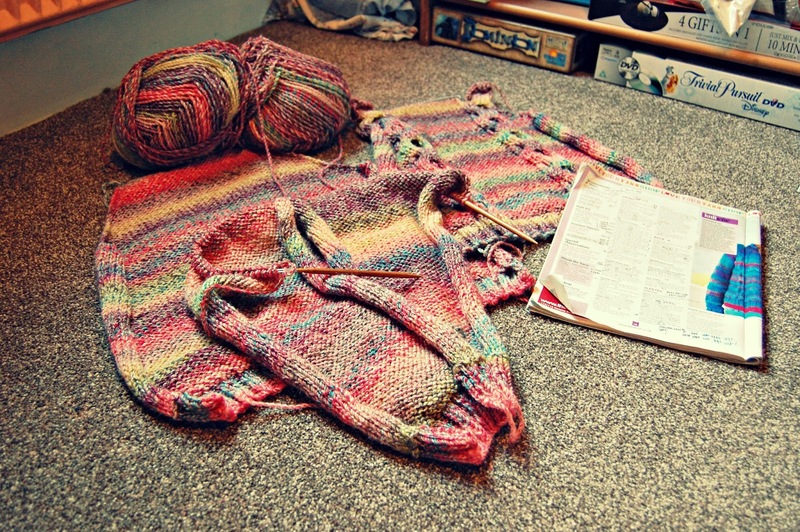 As you can see I am SO close to having this jumper finished! I am three quarters of the way up both sleeves having completed the back and front panels but I've just run out of time before the end of the month to have this project finished. What frustrated me when I started knitting this jumper was the measurements of the sizes available (available in woman's size 8-10, and 12-14 - and so on - but I am a 10-12!) so I have tentatively, upon direction from B's grandma, modified the pattern (which I have never done before). It is only a slight modification, adding 2 extra stitches to that recommended by the pattern in the hopes that it will result in a comfortable fit, but I'm hopeful that this will work! At the stage it is now I am worried the jumper is a little short in the length for my body. But this is all a learning curve and I don't want to rush this so I will have this finished probably half way into February. 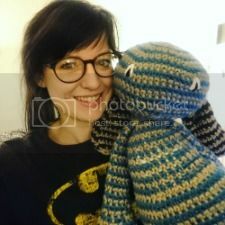 I'm really disappointed in myself that I haven't even been able to make a start on this challenge as I am very excited at how I am sure it will result - an excellent Moogle crochet pattern! So all in all I'd say a 50% completion rate. But I shouldn't beat myself up about not being able to complete all my projects because really I simply didn't have enough time to start another pattern or finish the jumper - I'm trying to get back into reading frequently, I've really been enjoying playing more video games in bed, I'm looking to step-up work wise, and I've made more Etsy sales this month than in the last 9 months that my shop has been open! Which has meant I've needed to make those commissions - alongside a scarf commission from a mate of my dads, turns out even after Christmas people want to order things! 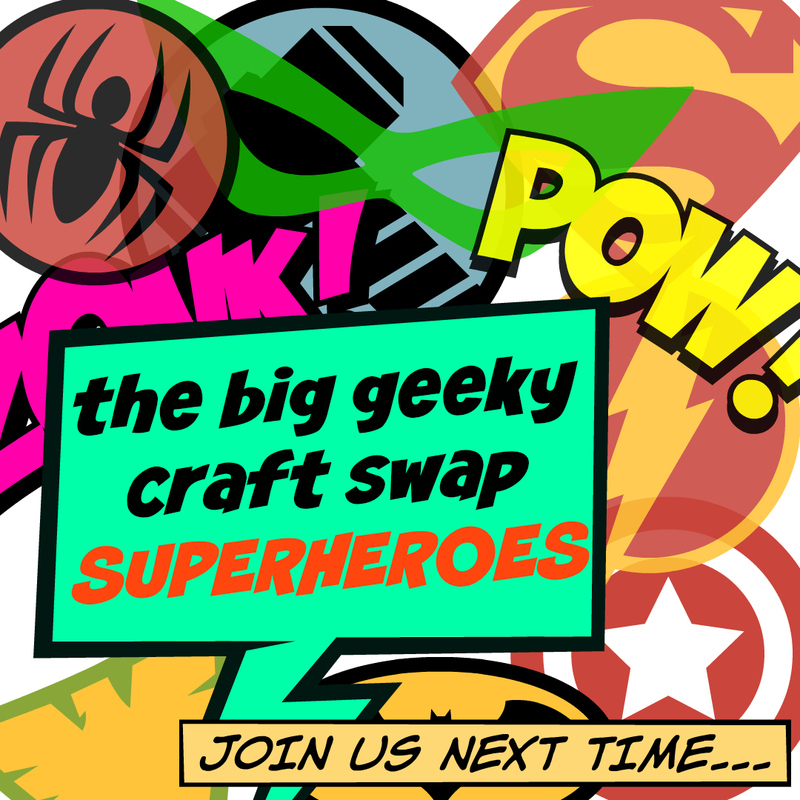 - and these were unplanned craft projects that I hadn't accounted for when I first set myself these tasks (it's been wonderful though to know that people are still looking to order from me). 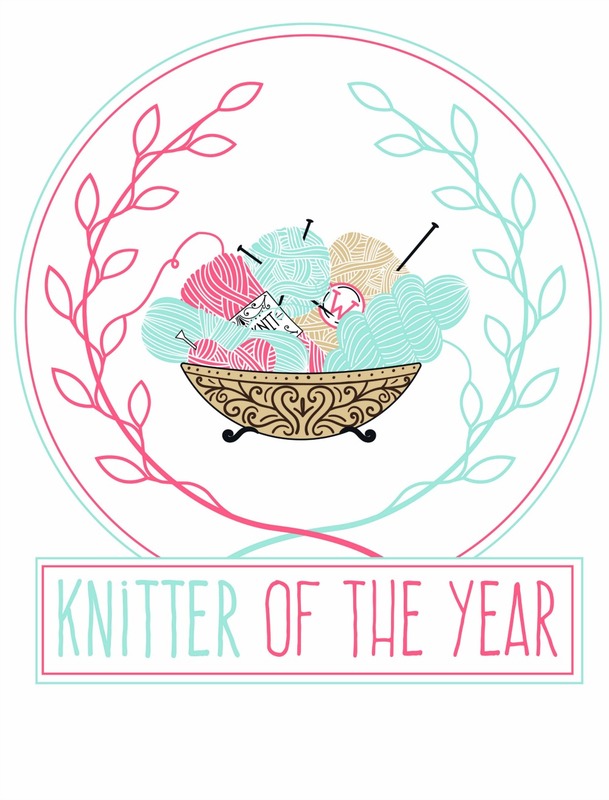 So now I have an idea of what I am capable of during a month when I'm not knitting and crocheting 24/7 like I was in the run up to Christmas! And I have a better idea of what I should be able to accomplish in February which I will be sure to share with you in a couple of days! Have you been able to achieve what you wanted this month? Last week I finally finished stringing together a very simple pom pom garland which I had (ashamedly) begun on Christmas day, employing my sister to help me make a dozen white pom poms using my rather fancy Clover pom pom makers, while watching various Christmas films. And then of course the pom poms sat in a gift bag for a little under a month until I finally decided to finish what I started! I had in mind to make a white pom pom garland (no doubt at the time inspired by all the snow on Christmas TV shows and films) but sitting in my room I knew just white pom poms wouldn't look as good as I would hope as an all year round decoration. 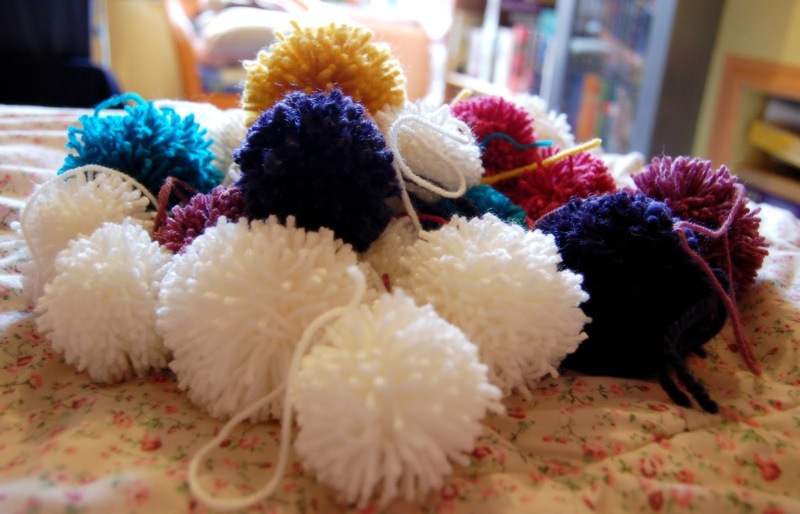 So for good measure I made some different coloured ones of varied sizes, bringing my pom pom total to 25. 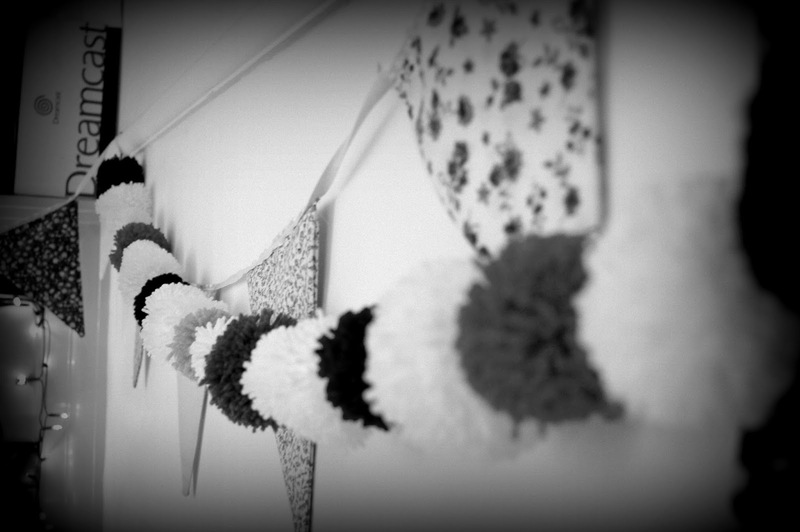 25 pom poms fill about 2 metres of yarn very comfortably to make a simple strung garland. 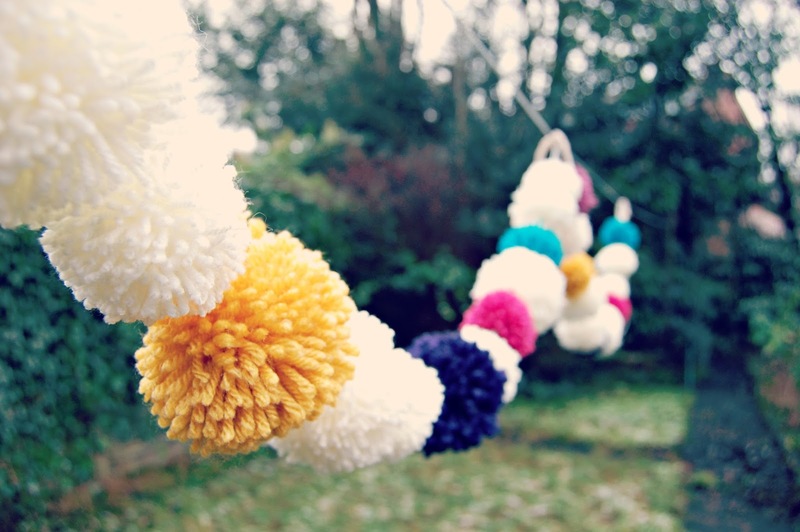 I initially tried to string the pom poms onto a length of standard shop bought string from Wilkinson's, however I found it was too thick and pulled out the middle of 4 of my pom poms before I declared that exercise a disaster and switched to plain white yarn. Luckily even without their centres the pom poms still hold their shape. I'm very pleased with how the garland has turned out, and although it is a very simple one it looks very nice strung up above my bed! 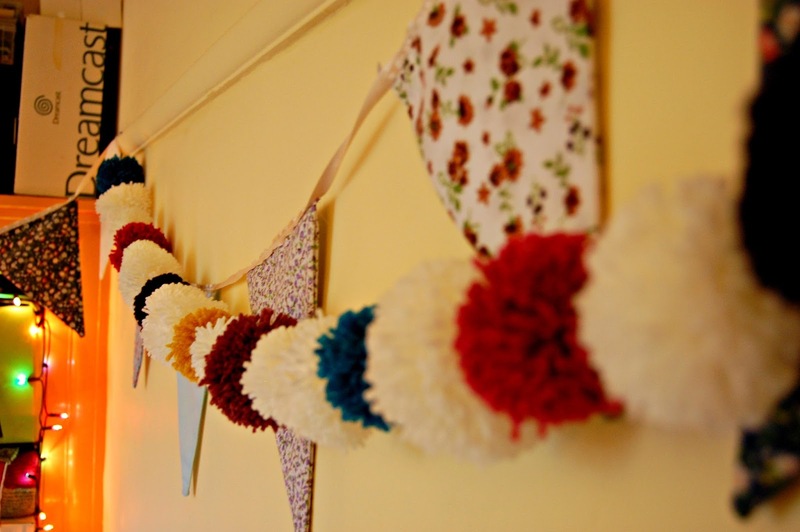 Inspired by this success I hope to explore more pom pom crafts and actually make some more (rather than just pin on pinterest all the pretty ones I can find) and I anticipate that when me and B move out in the future there will be many a pom pom round our house! 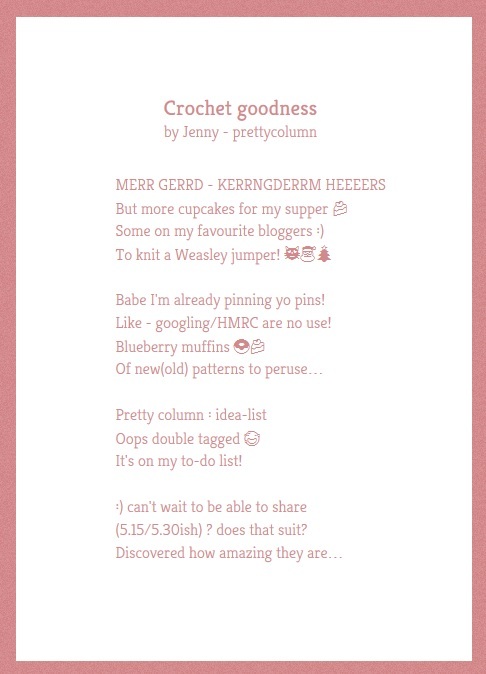 Also, how many times is it really acceptable to type 'pom pom' in a blog post - anyone else feeling a little pom pom dizzy? 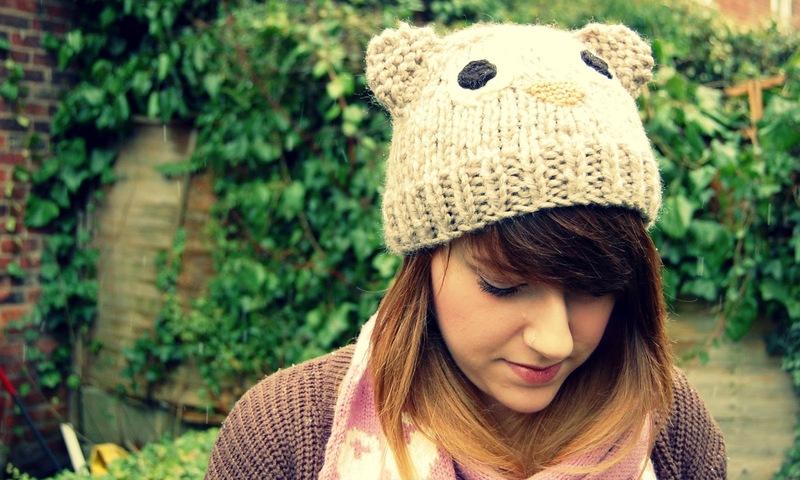 As promised here is the pattern for this cute owl hat that will fit an average adult’s head. Because it is worked with chunky yarn and stranded knitting it makes this an extra cosy and warm hat for the cold months we have ahead! The colours suggested below will make the white hat - if you would like to make the brown hat simply reverse the colours. If you want to knit the hat to fit a child rather than an adult just cast on 48 instead of 52, knock off 2 stitches at each end of every row on the pattern, and begin your decreases at row 15. Note changes to colour B will be made explicit, if no colour is suggested use colour A, for example ‘p1, p1 with B, p5’ means ‘purl 1 with colour A, then purl 1 with colour B, then purl 5 with colour A again’. 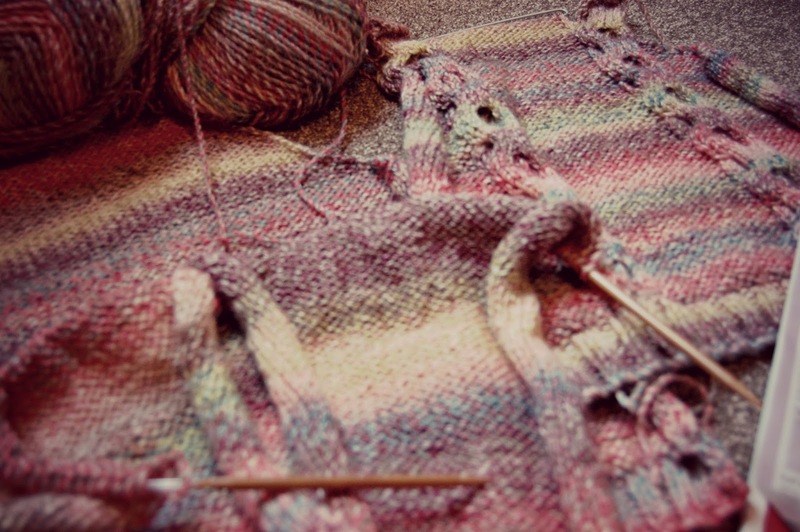 Colour B will be used over 2 rows then 2 rows will be without colour work. break off yarn, leaving tail for sewing. Using the tapestry needle thread yarn through 6 stitches left on needle and pull tight, sew seam of hat closed. Weave in all loose ends. fasten off. Sew ears in position on hat as pictured. The seam of the hat should go down one side of the head as opposed to the back. Weave in all loose ends. Sew black circle to centre of larger circle, and then sew to hat in position as pictured. 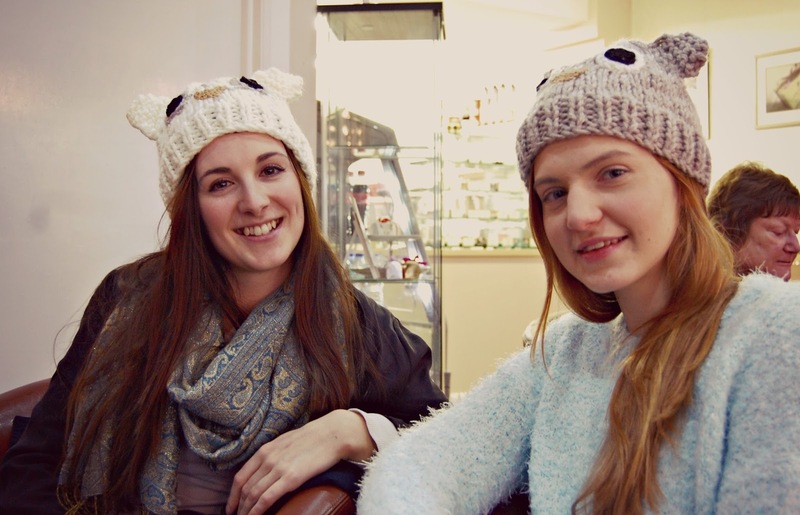 looking good in their owl hats! 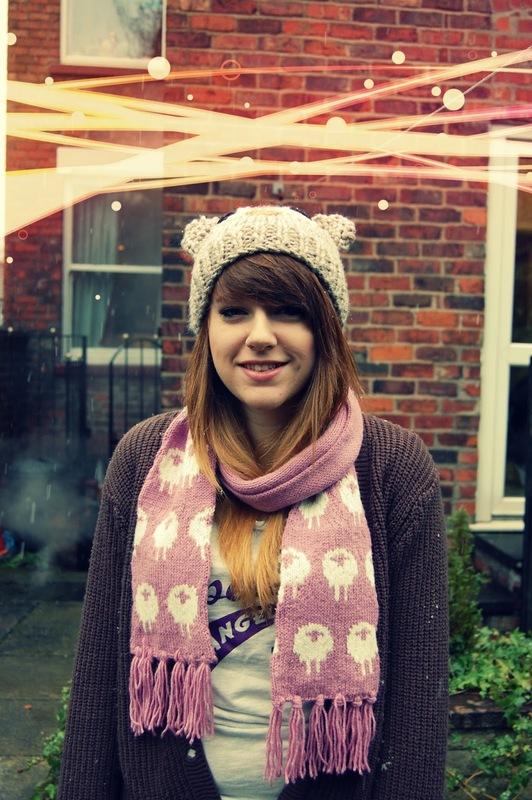 You are now the proud owner of a lovely cuddly owl hat! 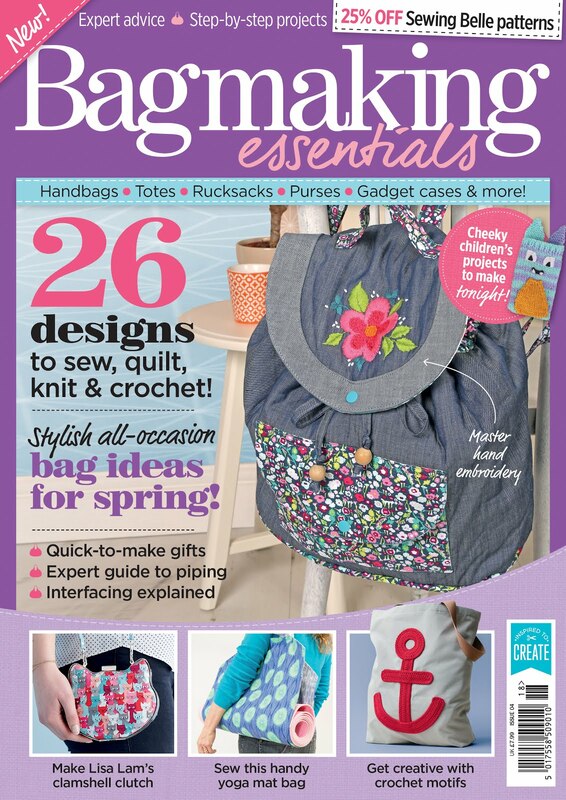 I hope you love this pattern – if you make one yourself why not share a picture below using the new Disqus commenting system! 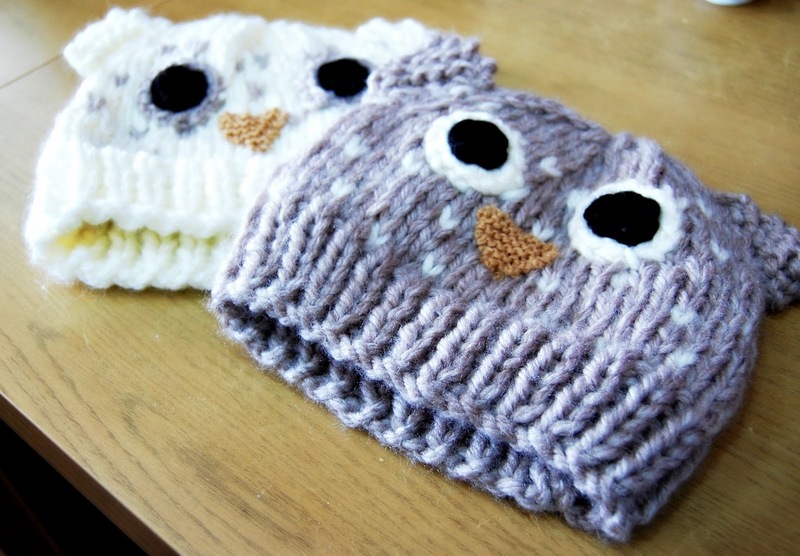 I have also put the white owl hat up for sale on my Etsy page as my sister already claimed the oatmeal one for herself, so if you don’t fancy making one for yourself snap it up quickly by clicking the link!